Victor Davies’ music ranges from children’s songs for television to chamber music, symphonies, choral music, ballet, opera, musical theatre having been commissioned by such performers as, The Winnipeg Symphony, Royal Winnipeg Ballet, The Boss Brass, Ofra Harnoy, Vancouver Symphony, Bramwell Tovey and Manitoba Opera. He has written scores for radio, film and television, for CBC, CTV, NFB, PBS, 20th Century Fox, and Warner Bros. In 2003 he received a Gemini for his score for “Honour Before Glory“. His works, heard live and on record, performed by acclaimed performers, have been broadcast and televised worldwide. Winnipeg-born pianist and conductor Victor Davies is one of Canada’s outstanding composers. His works have been heard live and on record and have been broadcast and televised worldwide. His music ranges from opera, musical theatre, ballet, choral music, symphony, and chamber music to children’s songs for television. 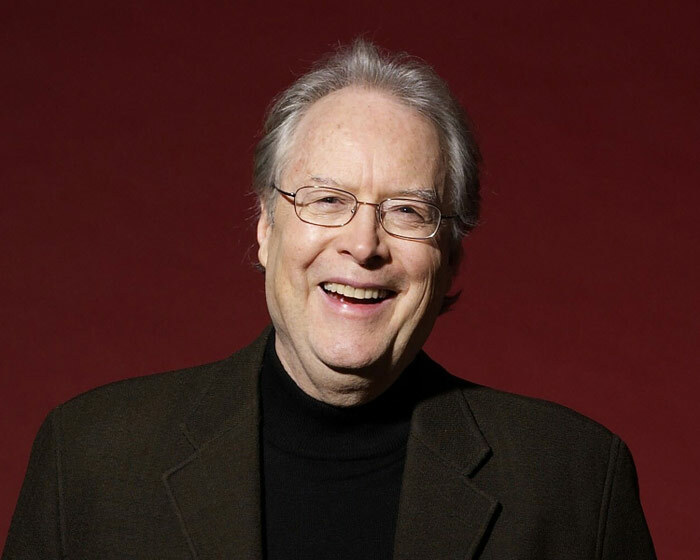 Mr. Davies has also written scores for radio, film, and TV including work for CBC, CTV, NFB, PBS, 20th Century Fox, and Warner Bros.
Now based in Toronto, Mr. Davies studied at the University of Manitoba from which he received an Honorary Doctorate of Laws and Indiana University. 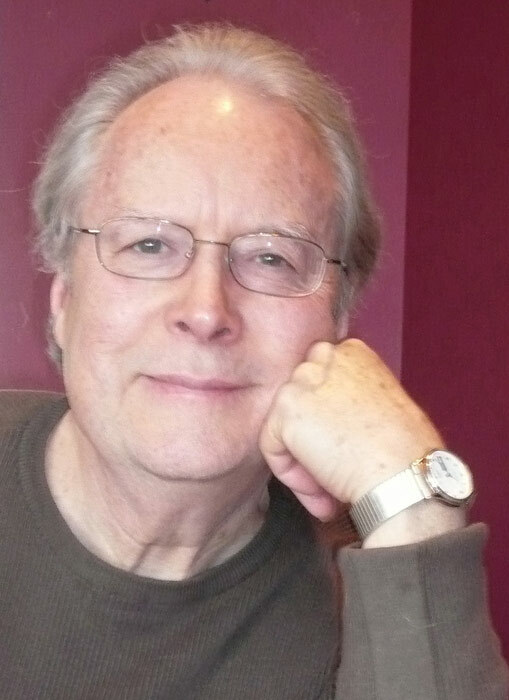 Victor Davies is one of Canada’s outstanding composers. His works are heard live and on record and are been broadcast and televised worldwide. His music ranges from operas (Transit of Venus; Ernest, The Importance Of Being; Beowulf), musical theatre, ballet (The Big Top for the Royal Winnipeg Ballet), choral music, 3 symphonies, and chamber music to children’s songs for television. 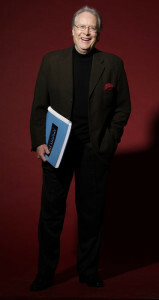 Mr. Davies has also written award winning scores for radio, film, and TV for CBC, CTV, NFB, PBS, 20th Century Fox, and Warner Bros. His music has been performed by The London Symphony Orchestra; Montreal, Vancouver, Winnipeg and Toronto Symphony Orchestras in Canada, Manitoba Opera, Montreal Chamber Orchestra and The Vandermark Ensemble at Carnegie Hall and in the Philadelphia Orchestra Chamber Series. Davies studied at the University of Manitoba from which he received an Honorary Doctorate of Laws and Indiana University. Born in Winnipeg, Victor Davies attended the University of Manitoba, Indiana University, and studied conducting with Pierre Boulez. 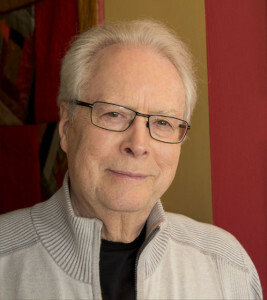 During his career as a composer, pianist and conductor, he has created works for The Manitoba Theatre Centre, The Winnipeg Symphony, Contemporary Dancers and the Royal Winnipeg Ballet, and written film scores for dramas and documentaries in a variety of styles, for CBC, CTV, the National Film Board of Canada and many independent producers. He composed for and performed with his own jazz group and was commissioned to write the first major score for planetarium production, The Beginning and End of the World, recorded with Skitch Henderson. Davies’ best known work, The Mennonite Piano Concerto, commissioned by Winnipeg’s Fast Foundation, was recorded by the London Symphony Orchestra with pianist Irmgard Baerg and conductor Boris Brott. His music ranges from children’s songs – he wrote music and lyrics for over 600 songs for the CTV seriesLet’s Go! and The Rockets – to his major oratorio Revelation for soloists, chorus and orchestra. His theatre works include Beowulf, staged in New York; the musical Especially Babe for the Toronto Theatre Festival;The Musical Circus, performed at the Zagreb Biennial; The Big Top, commissioned by the Royal Winnipeg Ballet (with 52 performances and TV special seen world wide, and available on CD); the theme songColours in the Dark, for Famous People Player’s Broadway show and American tour; and scores for the international award-winning films The Last Winter (Fox Video), The Nutcracker Prince (Warner Bros) andFor the Moment (20th Century Fox), recorded with musicians of the Czech Philharmonic. Davies has conducted the Winnipeg, Edmonton and Kitchener-Waterloo symphony orchestras and has been the conductor of his own film and television scores. He was musical director and composer for the Opening and Closing Ceremonies of the 1999 Pan American Games working with well known Winnipeg performers Tracy Dahl, Henrietta Schellenberg, Fred Penner and the WSO conducted by Bramwell Tovey. Davies’ music, aimed at a wide audience, is melodic, brilliantly orchestrated and has a sense of drama. Equally at home in the concert hall, theatre or recording studio, his music is heard around the world, live, via recordings, and film and television (he won a Gemini Award for best documentary score in 2002), and is sought after by artists such as Wayne Marshall, Bramwell Tovey, The Boss Brass, Ofra Harnoy and the Canadian Trio, to create works for them. In 2005 Silhouettes (Piano Trio No.) 1 was performed by the Vandermark Ensemble at Carnegie Hall and his comic opera The Importance Of Being Ernest premiered in a concert performance at Stratford Summer Music. Works in recent years include Transit of Venus, a full length opera commissioned by Manitoba Opera in 2007, Earnest, The Importance Of Being (adapted from the chamber opera The Importance Of Being Ernest) premiered 2008 by the Toronto Operetta Theatre and Concerto for Tubameister and Orchestracommissioned for tubameister Jc Sherman of Cleveland premiered 2008 in Vancouver, the orchestral premiere in 2009 with tubist Chris Lee and the Winnipeg Symphony Orchestra. His second Violin Concerto (The Journey) commissioned for and premiered by Rosemary Siemens in 2012 was issued on CD by the Winnipeg Symphony. He is currently working on pieces for concert band as well as three operas. Davies’ Revelation, an oratorio for five soloists, massed choir and symphony orchestra, has had three successful performances, a CBC radio broadcast and a CBC TV special – Adrienne Clarkson Presentsfollowing its Winnipeg premiere. It was the first live CBC Radio presentation on the Internet in September 1996, was the final concert of Festival Canada in Ottawa, July 19, 1997, and has since had readings of the choral music in the US, and a performance in Hamilton with young rising soloists including Winnipeg’s dramatic tenor Kurt Lehman as John. The Big Top ballet, demonstrates Davies’ versatility, mastery and exuberance of style, and were perfect ingredients for this commission, premiered by the Royal Winnipeg Ballet in 1986. Running for two consecutive seasons, it had 52 standing ovations on the RWB’s 52-performance Canadian tour in 1989, was subsequently filmed for CBC TV by Norman Campbell, with four successive Christmas CBC showings in Canada and was then shown worldwide in eleven countries, including the Bravo network. Universal appeal, critical acclaim, suitability for dance and heartfelt melodies are proven qualities of the score, giving it broad and dynamic audience appeal. The Mennonite Piano Concerto recorded with the London Symphony Orchestra (together with Good Times, a suite for orchestra) has become Davies best-known work. In Britain the CD ranked eighth in sales [five million listeners] for Classic FM Radio for 1995. It is syndicated on American and National Public Radio in the USA, with many performances on the CBC and BBC. It was recently performed live in Seattle Washington and Niagara Fall Ontario. In June 1999 it had its premiere performance in China at the Gala Finale concert of a Festival in Kunming China. A 2007 listener pole for the top 100 concertos of all time on Australian Radio (ABC) placed it at #50. Following the release of this CD, The Music of Victor Davies was released in Britain Europe, North America & Asia on the Campion label. Internationally acclaimed films The Nutcracker Prince (Warner Brothers USA), The Last Winter [winner of nine international awards] and For the Moment, (Fox Video USA) in a variety of styles, challenged Davies’ love of drama and collaboration to custom design scores for that medium, with soundtracks recorded in Britain, Canada and the Czech Republic. Some of Davies’ other theatre and media creations include – the first major score for planetarium, The Beginning and End of the World recorded with Skitch Henderson, the rock opera Beowulf, staged in New York, the musical, Especially Babe for Toronto’s Young Peoples Theatre, the children’s musicals The Magic Trumpet and Reginald the Robot both premiered at the Manitoba Theatre Centre, and Pirates! for the Charlottetown Festival. Davies has composed music and lyrics for over 600 children’s songs for CTV’s top-rated children’s series Let’s Go! and The Rockets, and music for the Grammy award-winning Boss Brass, and the Famous People Players Broadway show and American tour. More recent works include the orchestra premiere of his chamber score Yukon Scenes; a piano quartet For Jennifer: Remembrances, for Theodore J Arcand, and an Automotive Romance: Concerto for Car Horn & Orchestra for the Winnipeg Symphony Orchestra’s 50th Anniversary Celebrations. He was composer and musical director for the Opening and Closing Ceremonies for the 1999 Pan American Games in Winnipeg. In 2001, Wayne Marshall, (1998 BBC Musician of the Year), premiered Davies’ Jazz Concerto for Organ & Orchestra with the Calgary Philharmonic, commissioned by the Calgary International Organ Festival and was heard on CBC and American Public Radio (Michael Barone’s Pipe Dreams). His choral commissionLifting The Sky, based on a traditional Salish legend with original poetry by American poet Carolyn Maddux, for the North American Welsh Choir premiered in the USA May 2001, and in Britain July 2002, In 2002, conductor Bramwell Tovey commissioned and premiered his Jazz Piano Concerto with the Winnipeg Symphony Orchestra for his Gala Farewell concert. In August 2005 his comic opera based on The Importance Of Being Ernest was given an inaugural concert performance at Stratford Summer. Recent works include Transit of Venus, a full length opera commissioned by Manitoba Opera, which premiered in November 2007. Earnest, The Importance Of Being (an adaptation of the chamber opera The Importance Of Being Ernestinto operetta form) premiered in February 2008 by the Toronto Operetta Theatre. Concerto for Tubameister and Orchestra commissioned for tubameister Jc Sherman of Cleveland premiered on September 26th 2008 in Vancouver. The orchestral premiere took place January 16th 2009 with tubist Chris Lee and the Winnipeg Symphony Orchestra. Victor Davies was born in Winnipeg, studied at the University of Manitoba and Indiana University, and with Pierre Boulez in Switzerland. He began his varied career as a freelance composer, pianist and conductor by working with Winnipeg’s major artistic organizations and artists. Since moving to Toronto -where he now resides- he has gained an international audience and a reputation as one of Canada’s outstanding composers.